We like to bring you stories from BetterPoints users who are using the app to make positive changes to their lives by earning rewards. Recently I spoke to Ian who is in the ‘Get Active in Ebbsfleet’ programme. 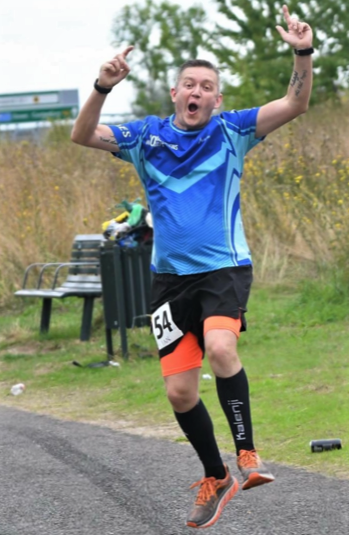 What Ian likes about using the app is - despite the fact he regularly trains and runs marathons, he still needs the encouragement to get out of the door just like everybody else. The app is really helping him to get more and more active. I have also found it helps me to explore the local area a little more by keeping my activity local. This is a great tool to keep you motivated and I have recommended it to lots of people I know. Running helps to clear my mind, the app definitely helps me run more! So in that respect keeping me motivated to run helps with keeping my mind clear. I like the feeling of checking how many points I have earned at the end of an activity, it makes me feel good! It can help my family, in summer months I will walk to the park more with my kiddies and use app to record walks etc. I raise money already for charity from running marathons so for the time being I will save my points up and treat myself but in future I may donate some to charity too. And I plan to motivate some of my friends to get involved too. Thanks for your feedback Ian, you are proof that everyone deserves a bit of encouragement and rewards for being consistently active. We are so glad that BetterPoints is helping you along the way.